Pixture was designed in the latest version of Photoshop CC 2015 so it utilises the use of art boards and multiple canvases in the one document. 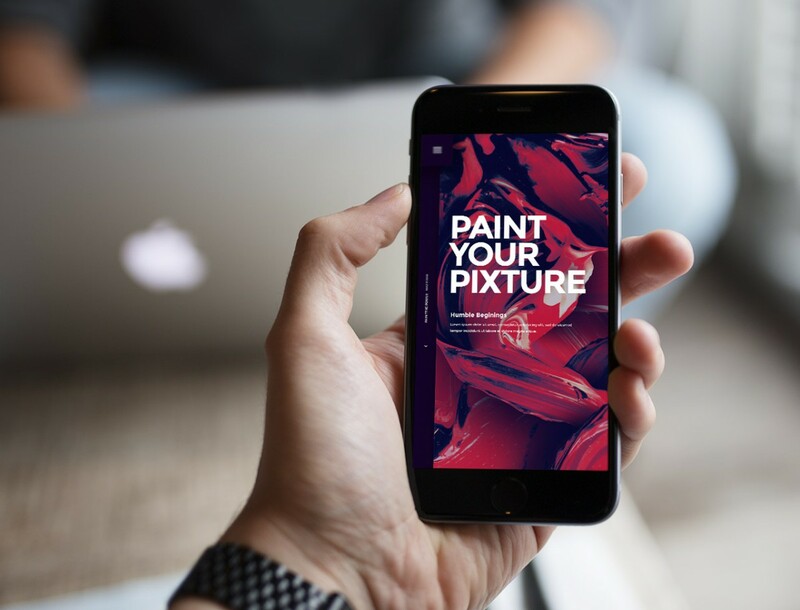 Pixture free psd comes with both a 1600px wide desktop design, along side a iPhone 6 750px wide mobile design version. Pixture is a unique and creative layout, using a mixture of card design styles along with large hero image areas to show case these awesome pain textures. Again big shout to Jordan Hetzer who supplied these amazing background textures! Make sure you check out his work over at dribbble and he has even got some of these textures as iPhone wallpapers, which we’ll be posting about soon! Jordan has some amazing works on his dribbble account so hope to be doing this kind of stuff more often in the near future. Textured paint backgrounds by Jordan Hetzer and all other image fillers form unsplash.com as usual! No surprises there really. Font used through the free PSD was google web font Montserrat. 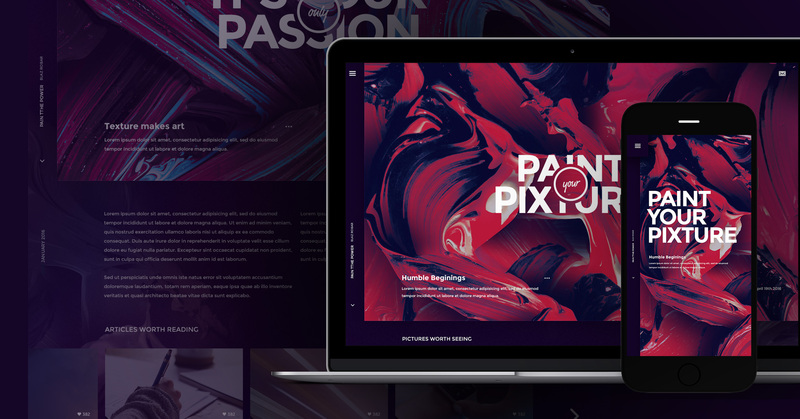 Today’s Massive give away is a free theme website PSD!! Includes a layered home page design concept! 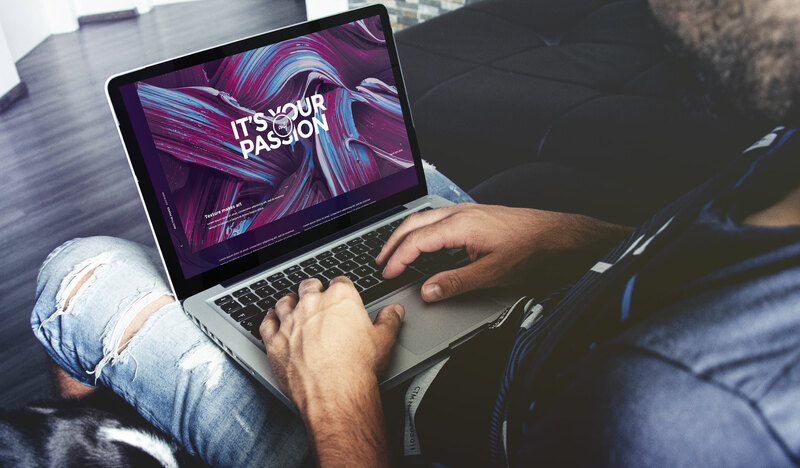 This pretty neat home page design is ideal for the creative type peeps! Wonder PSD – The skies the limits! Leave your email to download!